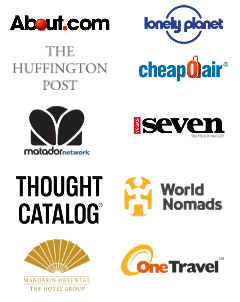 Editor’s Note: The following is a guest post from Endri of Trip and Travel Blog. If you have an Escape of the Week you would like to contribute, please send me a message. Thanks! There is an allure to Egypt – the hazy sun high in the blue sky, above a sea of desert and history. 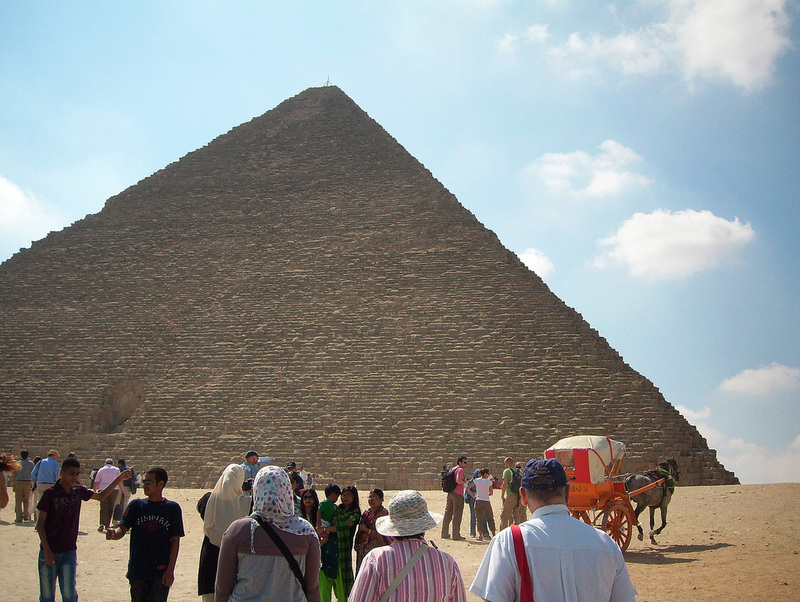 It’s easy to step back into time, thanks to a visit to the pyramids. It’s safe to say no trip to this fascinating country could be complete without stopping at the Egypt pyramids — the historic remains of Giza. By the time the ancient Greeks called it one of the Seven Wonders of the World, the three great pyramids of Egypt had already been standing for more than 20 centuries. Since ancient times, many assumptions have been made about their purpose … barns built during the time of Pharaohs …. Hiding places for treasures … places of worship … astronomical observatories. Today, we know better. They were created to house the tombs of the country’s ancient kings. Archaeologists have identified about 130 pyramids in Egypt, most of which, however, are just piles of stone that have lost their edge. Be sure to check out the terrace of royal tombs, leveled by human hands, measuring 1500 meters from north to south and 2000 from west to east. They stand, on average, about 40 feet above the valley. The interior of these buildings were built with strict attention -- Egyptians believed without a worthy home for their dead kings, they could not achieve immortality. 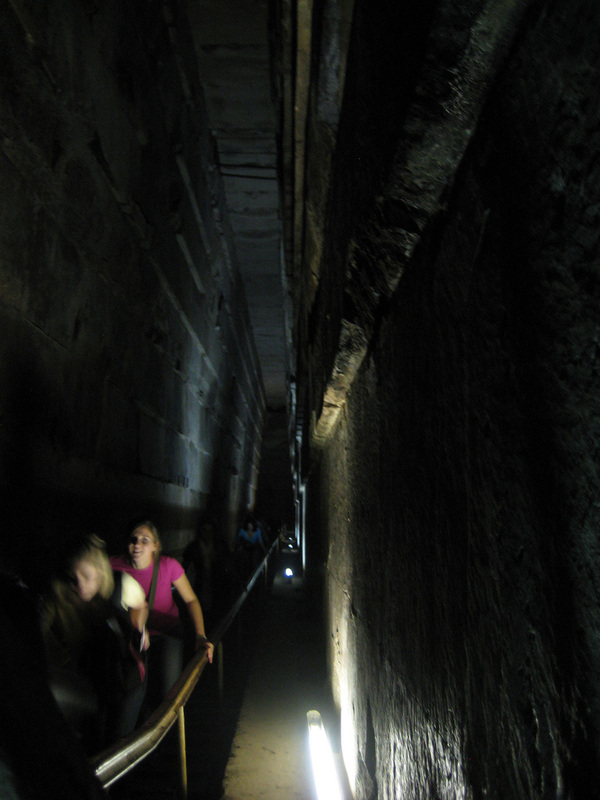 Also, explore the interior of some of these structures from ancient Egypt. The original architects took care to make it difficult to access the pyramids to prevent raids of the tombs. Chephren’s Pyramid is easily recognizable from a distance because of its “hood” – the polished stone, thanks to the original coating, only remains intact on the top. 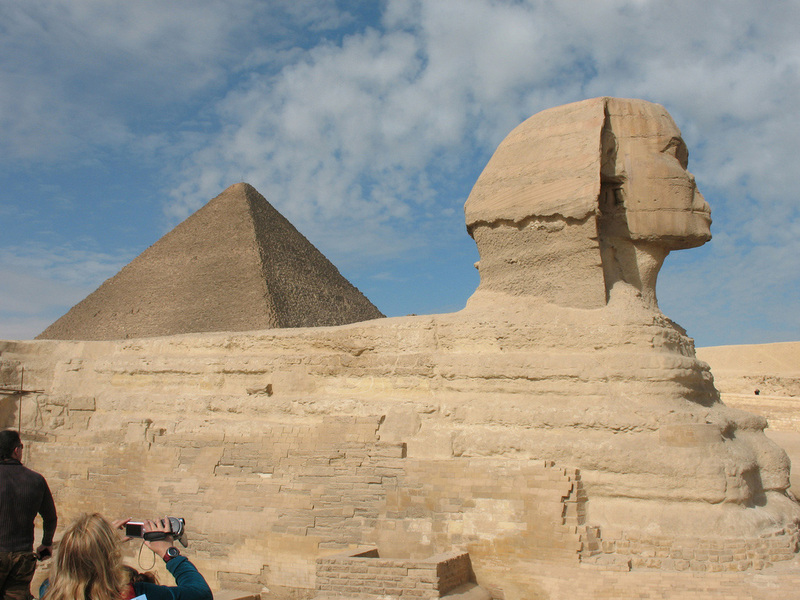 The Sphinx, located east of Chephren, is a lion with a human head. It is 57 meters long with a height of 20m. On the head bears the royal headdress and on the forehead it has the “uraeus,” the sacred serpent that has deep ties to Egyptian mysticism. Taking into account the summer heat can reach the “far too hot” mark on the thermometer (think 35-plus degrees Celsius), the summer is not the best time to head out to explore these sites. If the dead of summer is the only option, hit the Giza plateau in the early morning. The best time of year to visit these ancient monuments is in the spring and autumn, when temps are mild and the crowds are thinner thanks to the off-season. Flying into Cairo is the easiest. Some of the most spectacular pyramids are just outside of the city. Here, with the backdrop of Libya, rest the three superb pyramids of Chephren, Cheops and Mycerinus, along with the awe-inspiring Sphinx. For those headed to the Red Sea, hop on a tour that flies visitors straight to the Giza plateau. About the author: Endri, from Trip and Travel Blog, provided this post. The Web site is a place where Endri, along with others, share their feelings and prepare for their next trip. The goal of the site is to provide travel information ranging from luxury options to cheap solutions and everything in between so every traveler can have their best travel experience. We can’t wait to get to Giza. We are just waiting for our buddy who works in Cairo to tell us when to come. Well that and time to travel there. We have a few other trips planned already. Thanks so much for sharing this guest post! Gorgeous photos and great info.